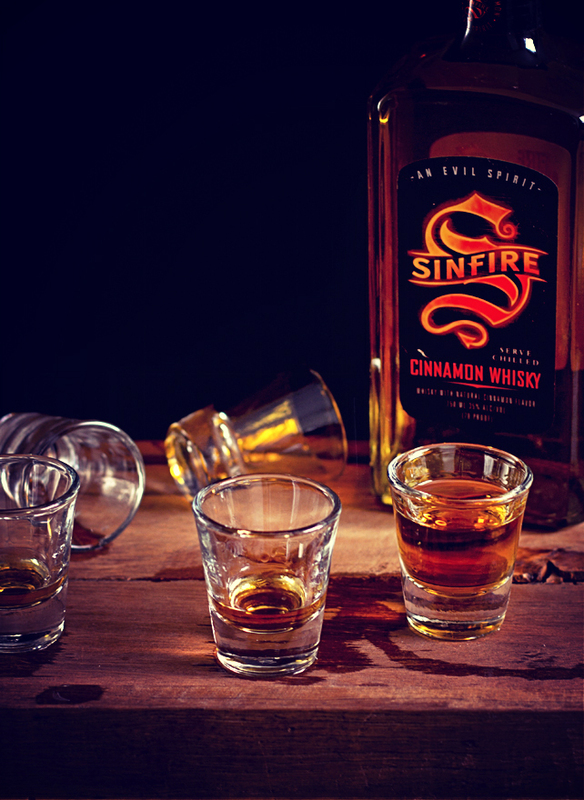 Bailey also needed photography for client Sinfire Cinnamon Whisky to use on their social channels. I worked with them on this ongoing project to create images with the brand at heart that feel natural, touched, and about-to-be- or just-consumed. It was important for the drinks to feel less studio styled, and bit more like snapshots from a party or gathering where Sinfire was being poured and shared.